I don't know about you, but I'm so ready for Spring! 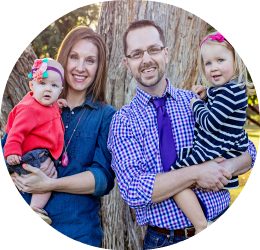 Our family enjoys spending time outdoors, so we appreciate the extra sunlight, green grass, & warmer temps. And as strange as it may sound, I also enjoy the annual ritual of spring cleaning. I absolutely love how fresh, clean, and sparkly our home looks & smells after a good deep cleaning. And when I'm wrist deep in dirt & grime, I always wonder why I don't deep clean more often. I thought it was the time commitment that I'm afraid of. But our home is on the smaller side and only takes about 20 minutes to vacuum + 20 to dust + 15 for bathrooms + 30 to mop, etc. So I soon realized that I err on the side of lazy—no time issues here. Now I have a new cleaning motto which is: Frequent quality cleaning = less hassle in the long run. Now that I'm cleaning more frequently, I want to make sure the products I use are high quality, fresh smelling, and natural. My favorite brands are Mrs. Meyer's and Method cleaning products. I buy the large bottles of Mrs. Meyer's Multi-Surface Concentrate and use on my kitchen & bathroom countertops. My favorite scents are Lavender and Lemon Verbena. I dilute the concentrate as directed on the bottle and pour into a reusable spray bottle. I'm teaching Audrey how to clean & do chores and this is a product I'm comfortable giving her to spray and use. I use Method Daily Clean wood spray on our dining room table and all of our wooden furniture. I love the almond scent and it does such a good job of cleaning and keeping our wood streak and fingerprint free. 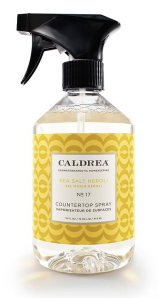 Finally, the Caldera Countertop Spray in Sea Salt Neroli is a HUGE splurge but the smell is amazing. I've had so many people comment on how great our house smells. And it wasn't because I was burning a candle or diffusing essential oils—it was the countertop cleaner. Can you believe it?!?! One of the best parts about Grove Collaborative is that you can set up recurring orders. (I would compare it to Amazon Subscribe & Save.) It's perfect for busy moms because you can fill your cart with products and schedule them to be shipped out at future dates. I never have to worry about running out of cleaning products or having to take the whole crew into the store just for countertop cleaner. You can also change the ship dates (which I do a lot) so your products won't ship until you actually need them. Also, the prices are some of the lowest I've seen, which is always a huge plus for us! 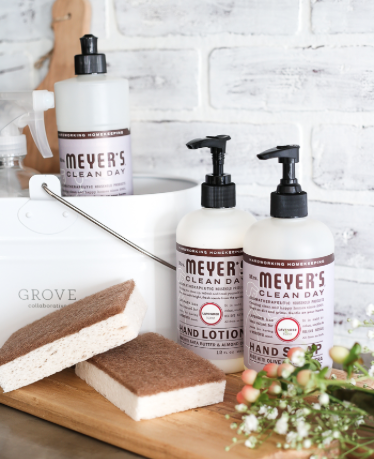 To welcome and celebrate Spring, Grove Collaborative is giving new customers a FREE bottle of Mrs. Meyer's hand soap and $10 credit toward any purchase. Visit Grove Collaborative to take advantage of this special offer and stock up on my favorite spring cleaning supplies. 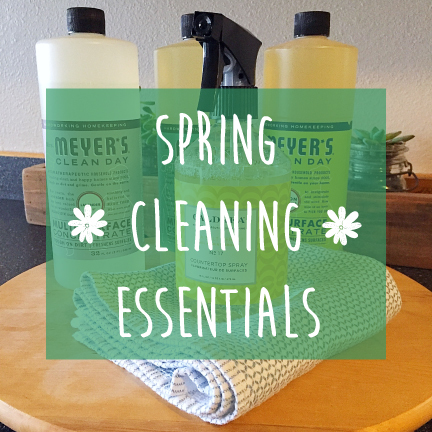 What are your favorite spring cleaning rituals and products to use? I'd love to get some tips! 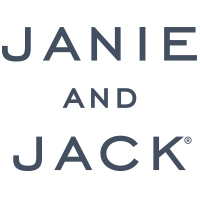 This post was in partnership with Grove Collaborative, thank you for supporting the brands that support our blog! Humble Hardy Happenings does not share personal information with third parties or store any information about your visit to this blog. All of the material on this blog is copy written by the blog author. Ideas, photographs, and concepts cannot be reproduced without the written consent of blog author. This blog does contain some affiliate links which can result in compensation for blog author. All opinions belong to the blog author and you are not obligated to use these links.